Electric Christiania Cargo Bike. February, 2017. 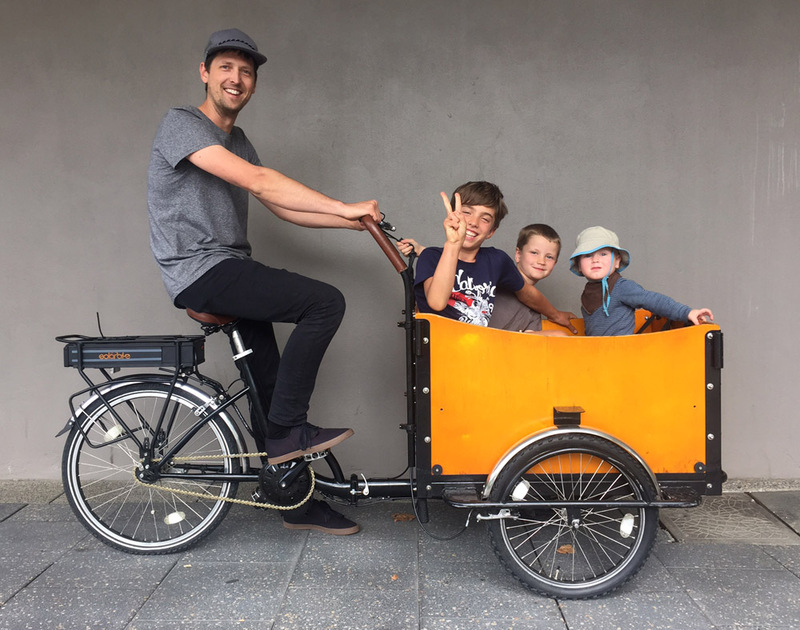 From a day care centre in Denmark to the streets of Dunsborough, this Christiania cargo bike has done some miles. However, with 3 growing kids it was time to either get a car or electrify this beauty. Thankfully the latter was chosen and this weekend we put an electric conversion kit on to help with daily commutes. The front wheels have stub axles and the rear wheel had an internal hub gear that they didn’t want to lose so that eliminated all hub motor options; our final option was to use a Bafang mid-drive kit. There were a few hurdles to overcome but a day later it was all achieved and now this classic old bike will be seen daily doing the rounds of Dunsborough.